"We are all unpaid actors in some giant script that we didn't write"
"Just as a musician, African-American, guy out in Hollywood, all these different things, you know, everyone around me tried to pick my candidate for me, and then told me every time I said I liked Trump that I couldn't say it out loud or my career would be over, I'd get kicked out of the black community because blacks are supposed to have a monolithic thought — we can only be Democrats and all.... And it took me a year-and-a-half to have the confidence to stand up and put on the hat." 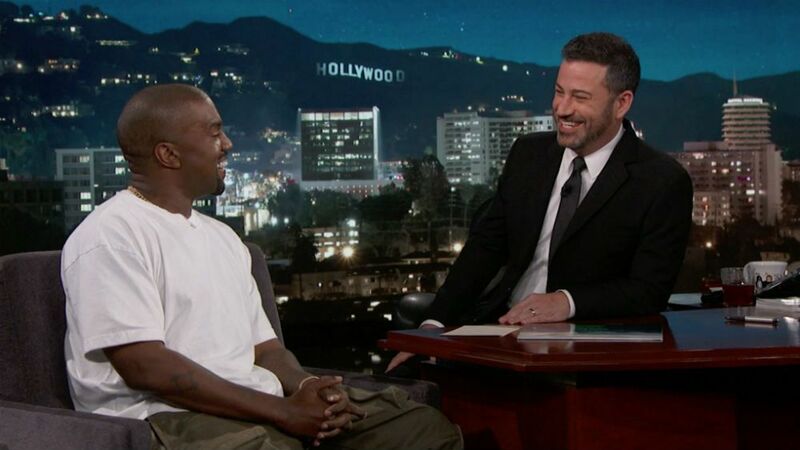 But Before Kanye had the oppurtunity to respond Jimmy Kimmel eventually took the show to a commercial break. Like Other Outlets are reporting he didn't go silent Jimmy actually went on to close the interview here lefting everyone unknown about his thoughts.